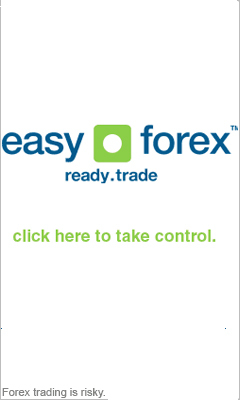 Forex Swaps –Do You Really Know About Foreign Currency Swaps? Currency swaps (or foreign currency swap) is a FX agreement between 2 parties to exchange a set amount of 1 currency for another and, after a certain specified period of time, to give back the original amounts that swapped. Currency swaps can be negotiated for various types of maturities of up to thirty years. Unlike back-to-back loans, financial swaps are not considered to be a loan by US accounting laws and thus it isn’t reflected on a firm's balance sheet. A swap is seen as a short leg foreign exchange transaction plus a far leg as the obligation to close the swaps from being a forward contract. Unlike with interest rate swaps, currency swaps actually involve the exchange of the set principal amount. Interest payments aren’t netted as with interest rate swaps, because they are denominated in various different currencies. Furthermore, many currency swaps are also traded on organized exchanges, which means it lowers counter-party risk, as showed by the bid-ask spread on most of these types of listings. Forex swaps are often combined with some interest rate swaps. For instance, 1 company would seek to swap their cash flow for a fixed rate debt in US$ denomination for a floating-rate debt that is denominated in Euro. These types of financial swaps are particularly common in Europe where organizations shop for the least expensive debt regardless of its type of denomination and then seek to swap it for the debt in their desired currency. Let’s say a US company needs Swiss francs and a Swiss company needs US dollars. These 2 companies could arrange to a foreign exchange swap establishing an interest rate, a set amount and a set maturity date for the exchange. Foreign exchange swaps maturities are negotiable for 10 years, at the least, making them a very tempting and flexible foreign exchange method. FX swaps were first done to get around fixed exchange controls. During 2008’s global financial crisis, the Federal Reserve System offered FX swaps to other central banks. This included stable emerging economies such as Brazil, South Korea, Singapore, and Mexico. Vanilla foreign exchange swaps are quoted, both for basis swap called floating-floating, and for fixed-floating structures. Fixed-floating foreign currency swaps are quoted with the agreement that the interest rate is payable on the fixed side, similar to the vanilla interest rate swap. The Forex swap interest rate can either be expressed as a set absolute rate or a spread over a certain government bond rate. The forex swaps floating rate is always "flat," with no spread applied. Floating-floating swap structures are quoted with a Forex swaps interest rate spread applied to one of the floating indexes.